IMPROVED: Our Help pages have moved! This month we’ve introduced some additions to portal landing pages, fixed a long-standing issue with image thumbnails and improved our course discovery. Read on for a quick rundown. Students can now see the courses they are enrolled into on their institution portal’s landing page. This new section will appear at the top of the portal landing page above the list of all Courses. This will make it easier for students who log into their institution portal or OpenLearning to access their courses immediately. This block is also customisable. Portal admins who wish to change the name of "Your Courses" can do so in Institution settings and also add a blurb. We are rolling out a new feature that will make exploring new courses in your institution portal easier. Institutions will soon have the option of displaying custom course categories instead of all courses on portal landing pages. This can be enabled at Institution settings > General by selecting Display course categories instead of Courses. If you’ve ever looked at the ‘Course images’ tab when inserting an image, you might have noticed a bunch of different-coloured file icons labelled PNG, GIF or JPG. These are no more! We’ve replaced these with actual previews of all the images you’ve already uploaded to your course. If you want to re-use an image you’ve uploaded previously, you can search this tab, select an image and you can use it again without having to re-upload it. 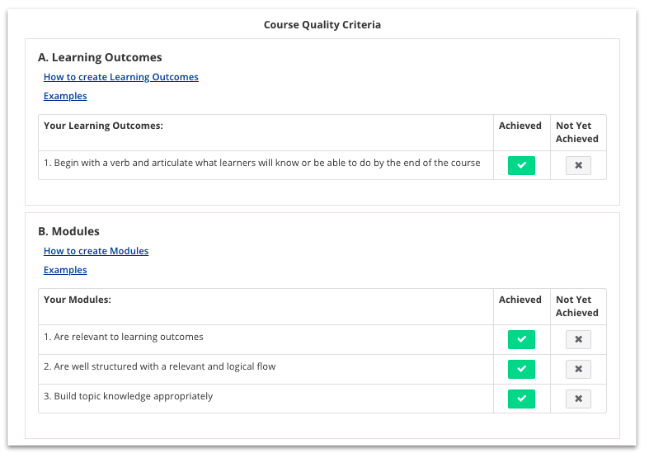 From May 7th, the team at OpenLearning began reviewing publicly listed courses for course quality. 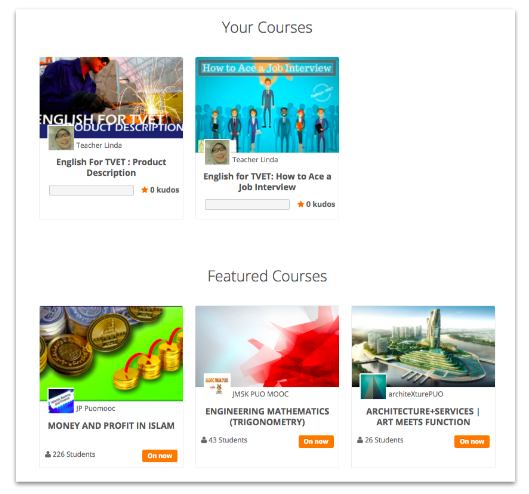 Only high quality courses will now be displayed publicly in our Course Marketplace. Read our Announcement here. You can see the course quality guidelines and request to be reviewed in Step 3 of our Setup Wizard. 🎉 IMPROVED: Our Help pages have moved! Here, you can find solutions to shared problems, suggest an improvement or report a bug. More importantly, it's now searchable! What do you think of these new improvements? 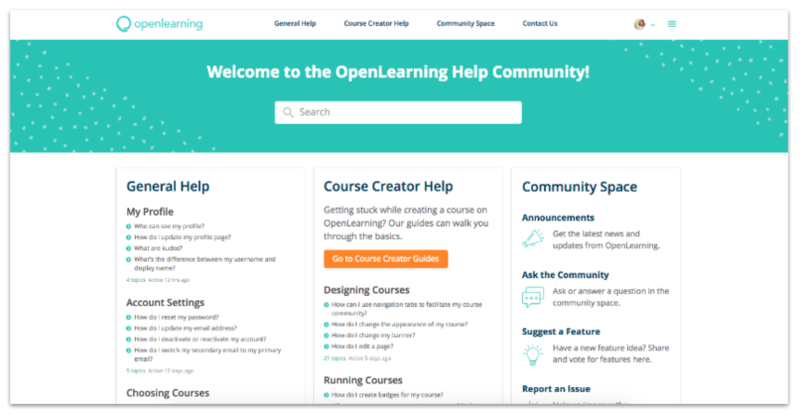 Join the OpenLearning Help Community and let us know.